It’s not easy being an activist—especially when you’re a woman. Especially when you’re focusing on empowering people who have never before been empowered. 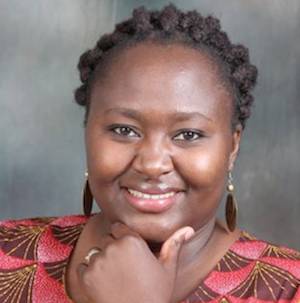 Grace Chirenje knows how difficult it is: She’s the founder and director of the Zimbabwe Young Women's Network for Peace (ZYWNP), a non-governmental organisation which promotes and defends the rights of Zimbabwe women aged 16-35. Through ZYWNP, Chirenje has enabled many people to access information on gender and reproductive health as well as democracy and good governance. She has traveled to the remotest parts of the country, informing and sensitising young women on issues ranging from child marriage to HIV/AIDS to Constitutional rights. More subtle negative reactions come from friends, family and colleagues. Chirenje has been isolated, disparaged, and harassed. “In the past even the state has targeted me and my family," she added.